"The hotel staff is so friendly." Have a question for Hotel Essex? 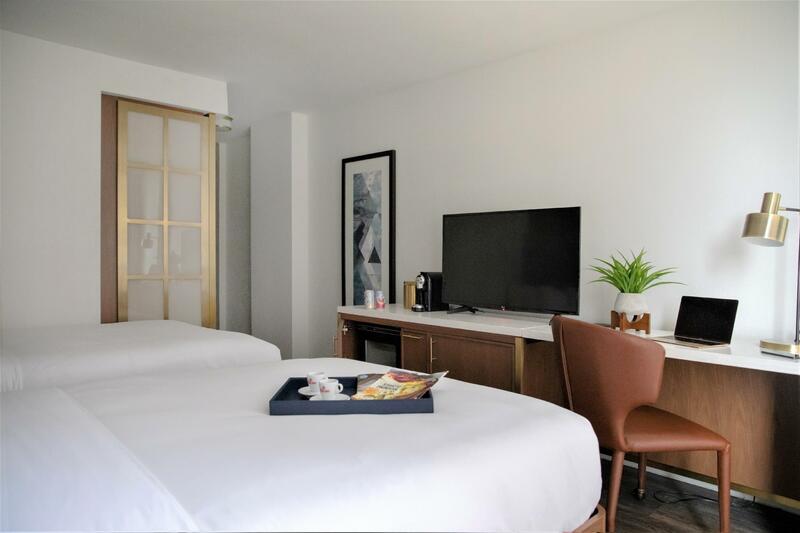 "Nice hotel licated in good location, not far from Harrison subway station." "The location of this property was very convenient." "Room is just fine, friendly staff." For travelers who want to take in the sights and sounds of Chicago (IL), Chicagos Essex Inn is the perfect choice. From here, guests can enjoy easy access to all that the lively city has to offer. With its convenient location, the hotel offers easy access to the city's must-see destinations. At Chicagos Essex Inn, the excellent service and superior facilities make for an unforgettable stay. For the comfort and convenience of guests, the hotel offers free Wi-Fi in all rooms, daily housekeeping, fireplace, wheelchair accessible, 24-hour front desk. In addition, all guestrooms feature a variety of comforts. Many rooms even provide television LCD/plasma screen, carpeting, clothes rack, linens, mirror to please the most discerning guest. The hotel offers fantastic facilities, including fitness center, to help you unwind after an action-packed day in the city. Chicagos Essex Inn is your one-stop destination for quality hotel accommodations in Chicago (IL). "Location is the best thing about the hotel." Please contact the hotel directly when booking 10 or more rooms. A USD 75.00 incidental deposit per room will be charged upon arrival. All guests under 21 years old must be accompanied by an adult. Guests are required to show a photo identification and credit card upon check-in. Please note that all Special Requests are subject to availability and additional charges may apply.